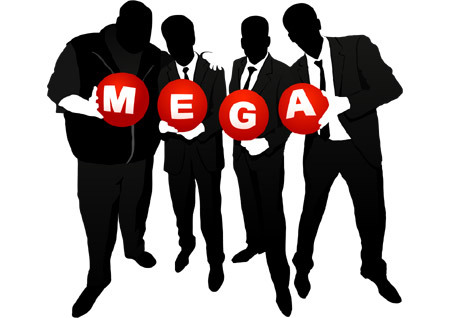 Mega, Kim Dotcom’s new online file storage web site has gone live, almost exactly a year after it was shut down following an FBI raid on his home. And just during the first 14 hours of the site going online, it has already racked up over half a million registered users. And the announcement of the launch wasn’t a hush-hush affair. It had all the makings of a Hollywood blockbuster. There was the glimpse of a helicopter marked FBI in a mock raid pointing to the actual thing that went down a year prior. There were dancing girls dressed in military-styled outfits. And even New Zealand musician Tiki Taane popped by to give a performance. The restrictive aspect of the site is that at present, it can only be accessed through (and has been optimized for) a desktop web browser. The site promises full compatibility with all major mobile devices and tablets in the near future. There are also custom apps being developed specifically for this purpose. ArsTechnica reports that at the launch party, Dotcom got things going with a rousing speech about the Internet and how it doesn’t belong to any man, industry or government, for which he received a round of applause. The new site offers end-to-end encryption of files and going by the maker’s tweets, the site shot to 100,000 users just in the first hour it went live, a surprising feat even for the big German himself. For now, the site is run on the servers of a professional hosting company owned by German-based Cogent, and Kim says he’s received over a thousand offers to host the site’s content. 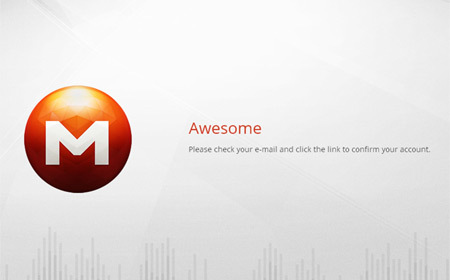 So Mega is live and anyone can create a free account after promising to comply with the site’s terms and conditions. Pro membership is offered in 3 tiers with 500GB, 2TB and 4TB storage respectively, each with an increasing amount of bandwidth at users’ disposal. Next article4.8-inch iPhone Math to debut in June?